IT’S TIME FOR YOUR LIGHT KIT TO DO MORE! 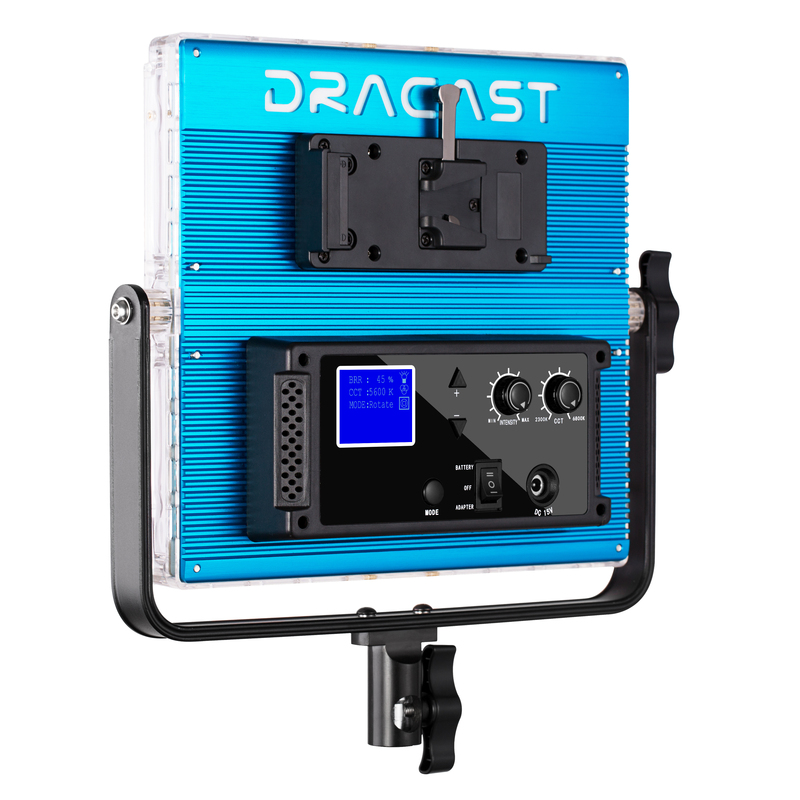 Featuring a compact 12.4 x 13 x 2.6″ design and a multitude of color control options, the 728 RGBW LED Panel from Dracast is a versatile fixture that offers a wide range of creative possibilities. The light has two means of color control. The bi-color mode presents the user with expansive color temperature options, adjustable from 2000 to 5600K to meet any ambient light challenge or match other fixtures while maintaining a high CRI of 96 – an indication of accuracy in color rendition. The RGB mode offers 360° color wheel selection that yields literally millions of colors with hue and saturation control that’s dimmable from 0 to 100%. Yet another valuable feature is Multi-Light Control Capability that allows you to adjust the settings of multiple fixtures from a single “master” light. The 728 RGBW LED Panel is ready for worldwide use thanks to its included 100 to 240 VAC power adapter but it can also run on optional V-mount batteries when mains current is unavailable.